View More In Bibs - Page 3. Hudson Baby 4-Pack Bandana Bibs are an adorable way to help keep your baby's clothes clean during meals. Made of 100% cotton on front, and absorbent 80% terry cotton and 20% polyester backing, these bibs are backed with knit terry to remain gentle and absorbent. These bibs have a snap closures so bibs can stay on. 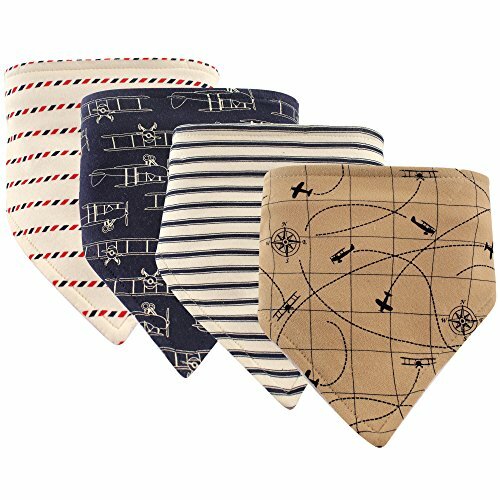 Your baby will be the most stylish one in town with his and her fashionably designed bandana bibs on.